President Donald Trump is reportedly set to hire a highly controversial former federal prosecutor with a history of peddling conspiracy theories as part of his legal team. So far, 19 people have been charged in the Russia investigation, and five have pleaded guilty to crimes, including Trump’s former national security adviser and a Trump campaign deputy chairman. President Donald Trump is set to hire a former top federal prosecutor with a history of pushing conspiracy theories about the Department of Justice and the FBI on television, The New York Times reported Monday. The news comes after one of Trump’s personal defence attorneys, John Dowd, ignited a firestorm over the weekend when he said the Russia investigation should be shut down. Though he later walked back the statement, Dowd’s comment marked the first time a member of Trump’s legal team publicly called for such a move. 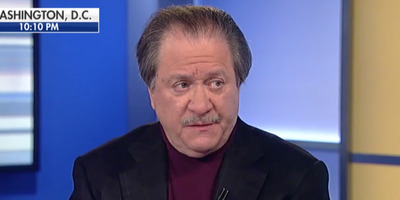 The former US attorney Trump has reportedly decided to hire, Joseph diGenova, has a long history of making controversial remarks about the FBI and DOJ to the media. DiGenova was the lead prosecutor in the DOJ’s pursuit of Washington, DC mayor Marion Barry in the late 1980s. But a decade later, he and his wife, Victoria Toensing, built their reputations peddling misleading conspiracies about the DOJ, Democrats, and the FBI that have little foundation in established facts. DiGenova and Toensing were a constant media presence during the Monica Lewinsky scandal that rocked former President Bill Clinton’s second term. The Washington Post reported in 1998 that the couple were so firmly entrenched in Washington media circles that they were both members of the lofty Gridiron Club. The Russia investigation is probing the extent of the Kremlin’s interference in the 2016 US election and whether the Trump campaign colluded with Moscow. So far, 19 people have been charged with crimes in the Russia investigation, and five have pleaded guilty, including Trump’s former national security adviser and the Trump campaign’s former deputy chairman. Trump is the focal point of Mueller’s obstruction-of-justice investigation, and he also recently emerged as a subject of scrutiny in the collusion thread. He has maintained that his campaign did not collude with Russia. Meanwhile, diGenova’s wife Victoria Toensing, also a former federal prosecutor, has represented key members of the Trump campaign who are also witnesses in the Russia investigation, including former Trump campaign co-chairman Sam Clovis and former informal Trump adviser Erik Prince. It’s unclear what kind of role diGenova will be taking on when he joins the president’s legal team. He did not respond to a request for comment from The Times.